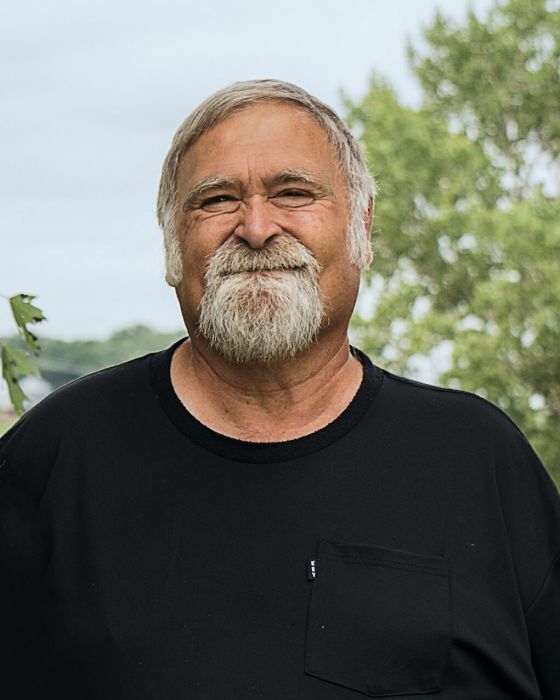 Robert "Bob" Pierce, age 65, of Sioux Rapids, Iowa died on Monday, March 18, 2019 at the Buena Vista Regional Medical Center in Storm Lake. Memorial services will be held on Saturday, March 23, 2019 at 10:30 a.m. at the Sliefert Funeral Home in Sioux Rapids. Burial will be in the Lone Tree Cemetery in Sioux Rapids. Visitation will take place Friday, March 22, 2019 from 4:00-7:00 p.m. at the Sliefert Funeral Home in Sioux Rapids. The Sliefert Funeral Home in Sioux Rapids is in charge of the arrangements. Robert Ray Pierce, the son of Charles and Margaret (Reed) Pierce, was born on February 2, 1954 in Cherokee, Iowa. Bob was baptized as an infant at the Methodist Church in Sutherland in 1954. He was later confirmed at the Sioux Rapids Methodist Church where he remained a member. As a child, Bob lived in rural Calumet and Sutherland. He and his family later moved to Sioux Rapids where he attended school from 4th grade until 10th grade. He spent his last two years of high school at Storm Lake High graduating in 1972. After high school, he attended Northwest Iowa Community College. On June 19, 1976, Bob was united in marriage to Teresa Kirkpatrick in the First Baptist Church in Storm Lake. The couple was blessed with three children: Matthew, Bobbi Jo, and Ashley. In his earlier years, Bob was a Mason, member of the Sioux Rapids Fire Department, and a part of the Swimming Pool Board. In his free time, Bob enjoyed going to auctions to collect rakes and shovels, sitting on the deck enjoying nice sunny days, and going to grandkids school concerts and sports activities. He was always helping friends and family with projects of all kinds, especially on Junk Day. Those left to cherish his memory include his wife, Tess of Sioux Rapids, Iowa; children: Matthew (Christina) Pierce of Spencer, Iowa; Bobbi Jo Butler of Storm Lake, Iowa; Ashley (Juan Fernando) Pierce of Sioux Rapids, Iowa; brother, Ron (Denise) Pierce of Sioux Rapids, Iowa; sister, Becky (Keith) Diersen of Sac City, Iowa; grandchildren: Aria Petersen, Makenna Pierce, Tanner Pierce, Jaley and Jenna Butler, Noah, Gabriela, Esabella Pierce; sisters and brothers-in-law: Karen (Ron) Gifford of Naples, Florida; Connie (Eldon) Dyke of Aurora, Colorado; Jane (Ken) Fedde of Elkhorn, Nebraska; Kerry (Kathy) Kirkpatrick of Ankeny, Iowa; and many nieces and nephews. Bob was preceded in death by his parents, Craig and Margaret; parents-in-law, Wayne and Mavis Kirkpatrick; brother and sister-in-law, Terry (Rose Mary) Kirkpatrick; grandparents, aunts, and uncles.